Printers are pretty great. Being able to reproduce an image or page of text on demand and on the spot is a great ability, one people often take for granted. Colored ink on paper or pictures made with black toner and lasers are the norm, the kind of stuff we’re all used to seeing. What if a printer could produce a 3D model on the spot though? Flat images on paper are interesting but they just don’t show the same amount of detail as the real thing in your hands, something you could turn over and poke and prod at to see how it works, looks and feels. 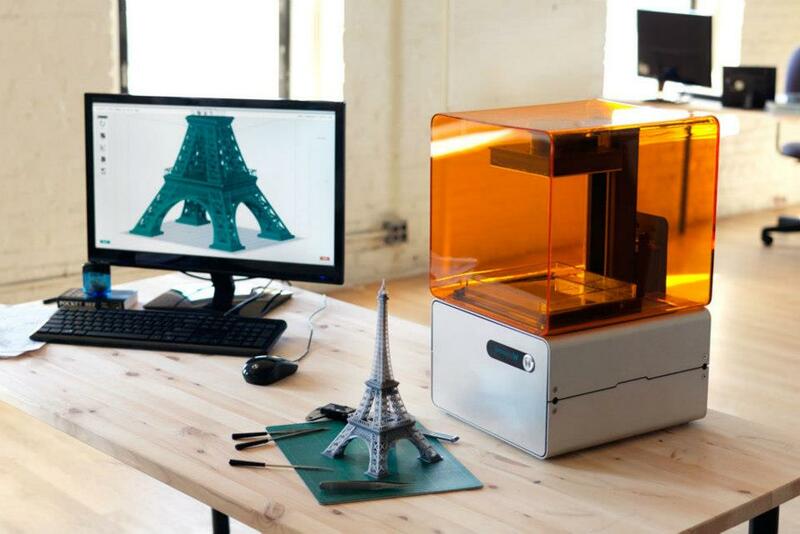 With new technology in the works, 3D printers promise to create realistic reproductions of the things you see on the internet, some of them even to scale if the subject is small enough. This is only one reason why the future of printing is in 3D. We’ve all been there before; there’s a big presentation to give in one class or another and the need for a good visual aid is great. Some people drew the objects by hand with varying degrees of skill. Some others made models with painted Styrofoam or other craft products. Still others would give live demonstrations for those things they couldn’t otherwise effectively show. With a 3D printer, none of this clumsy tripping and guessing need go on anymore. When someone is giving a presentation about the human heart, for example, they could pass around a 3D model of an actual human heart. A class could feel the vena cava, ventricles and chambers while hearing about the anatomy. This kind of hands on, highly visual and also audible experience gets a student with every sense except for smell and will help more students to better learn new information. 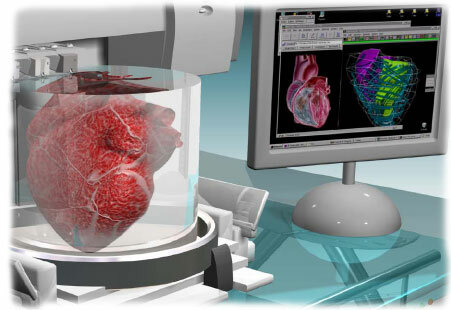 Speaking of 3D human heart models, the potential for 3D printing is much greater than that of just a normal printer making lifelike images. With the right applications and new technology still in the works, that human heart could be made of something closer to living tissue than dead, processed paper. It isn’t exactly widespread news but in the medical community especially, people are thrilled at the concept of 3D printers. Doctors everywhere thrill at the thought of restoring lost organs, dysfunctional parts and other maladies by simply printing off a new piece of tissue. It sounds like science fiction but as has been proven in the past, fact is often the stranger of the two. So far, 3D printers have been successfully used to create prosthetics and some very specialized hearing aids; only time will tell if technology manages to keep up with the ambitions of the medical community in this instance. Just think about the further implications of the above. If people can already create some very real, usable items with 3D printers, how long will it be until you can buy something on the internet and print it out in your home? Some people believe it won’t be long at all; they’re the big investors pouring money into this new industry and making things happen. It is a very exciting prospect and with all the uses it could have, 3D printing is one of the biggest technological advances at the present. It’s new and probably dangerous but that’s usually how new things go until the public knows more about them and can better decide how to monitor and use the devices. The future of printing is without a doubt in 3D and it’s plain to see, many people from many groups have many different plans for the technology. Sally Booth writes for www.printercorp.com.au, the market leader in managed print services to Australian businesses. Visit them now to find out more regarding their printing services, and also for general news and advice concerning the print industry.